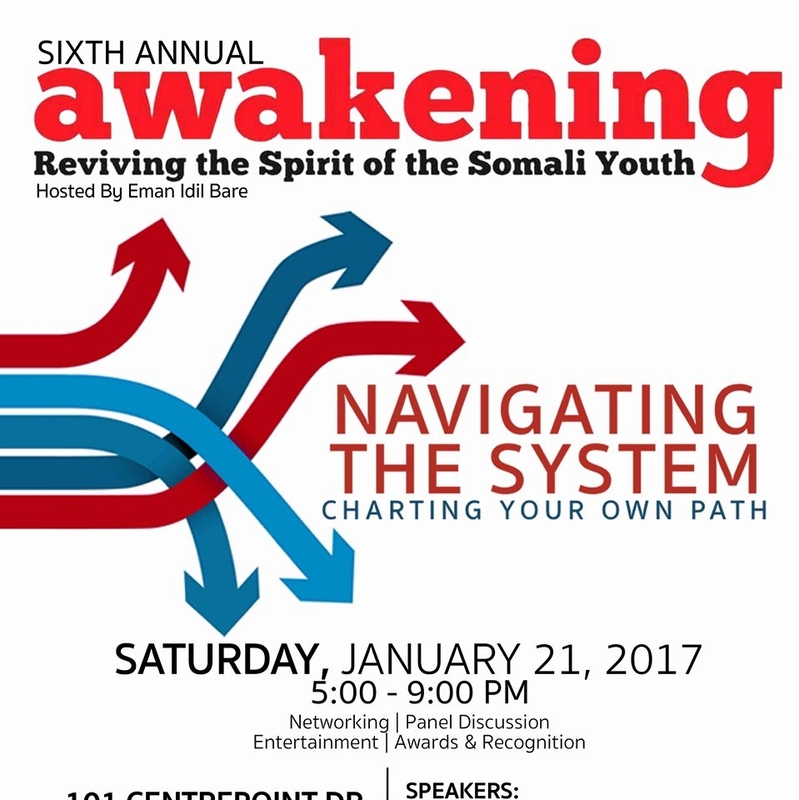 Awakening: Reviving the Spirit of Somali Youth” is an annual conference organized by a group of young Somali-Canadian professionals and students from Ottawa. The objective of the event is two fold: First, we hope to celebrate and recognize Somali-Canadian achievements and accomplishments by sharing our struggles and journeys. Secondly, we aim to highlight a specific issue facing the Somali-Canadian community in Ottawa by raising awareness and creating dialogue. 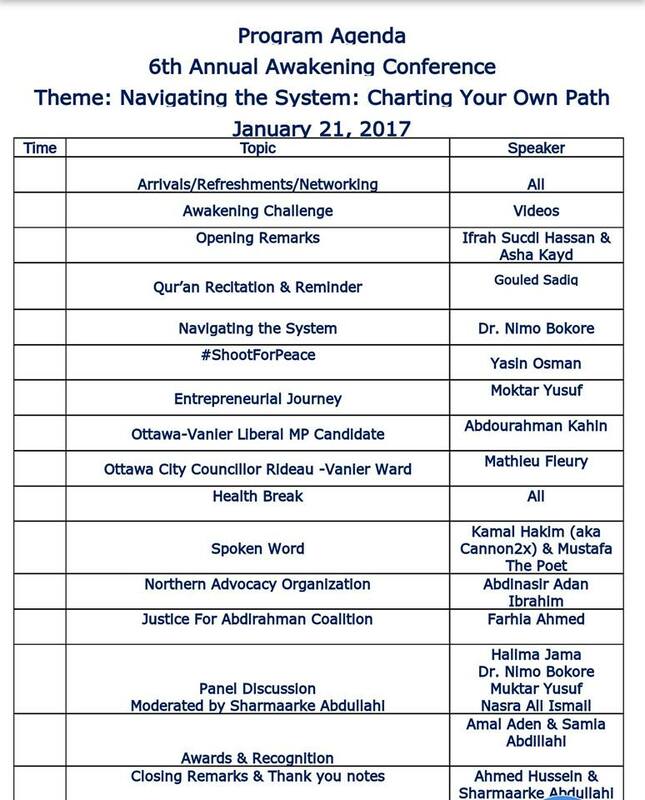 To date, we have covered topics ranging from youth mental health to celebrating Somali-Canadian successes stories in Ottawa. Our target audience is anyone 16 years of age or older. This event draws between 200-300 people annually.